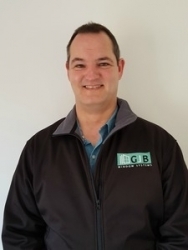 With over 15 years industry experience, including most recently as Technical Sales Manager for Sternfester, Neil Antrobus joins GJB Window Systems as Business Development Manager. GJB was purchased by Roy Frost last summer and is part of GJB Holdings, the fastest growing window group in the UK with an annual turnover of 22 million. Since the acquisition of Listers in the summer, GJB has added the prestigious Residence Collection, high-end aluminium bifolds and sliding doors as well as composite doors to their product range. Quality improvements also include A+ rated windows as standard. For more information contact Neil Antrobus on 07970 806065, Roy Frost on 07808 365234, or visit www.gjb.co.uk.